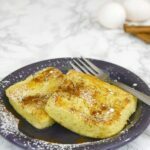 This low carb French toast can be yours in less than 10 minutes! 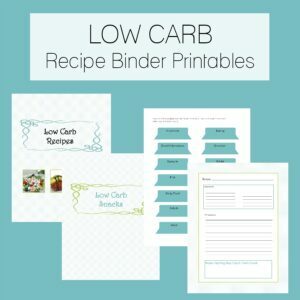 Keto, sugar free, and gluten free recipe. Who doesn’t love French toast?!?!? The eggy bread, the maple syrup, the cinnamon…? 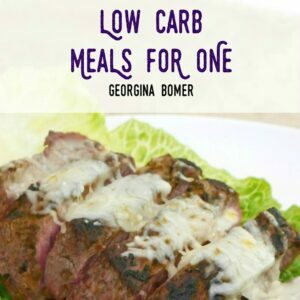 I had a real craving for it the other day, and unfortunately didn’t have any of my favorite low carb bread in stock (my current favorite, for the record, is Great Low Carb Bread Company (buy it direct or from online low carb retailers like Netrition), it’s only 1g net carb per slice!). 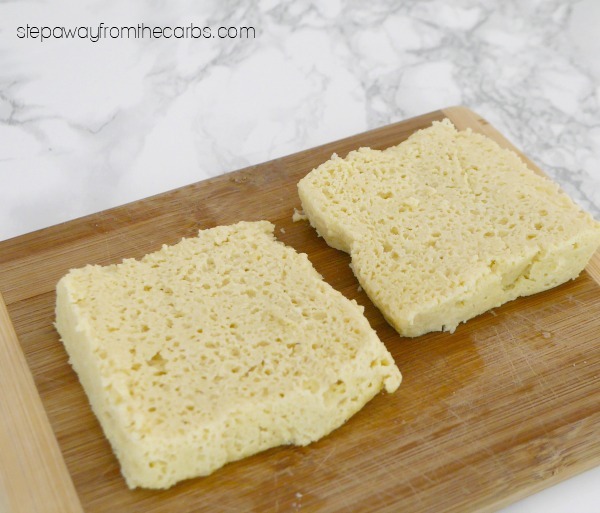 So I decided to adapt my low carb quick bread recipe – it’s made in the microwave and you can eat it right after it cooks, or toast it and slather it with butter. And it really is quick! 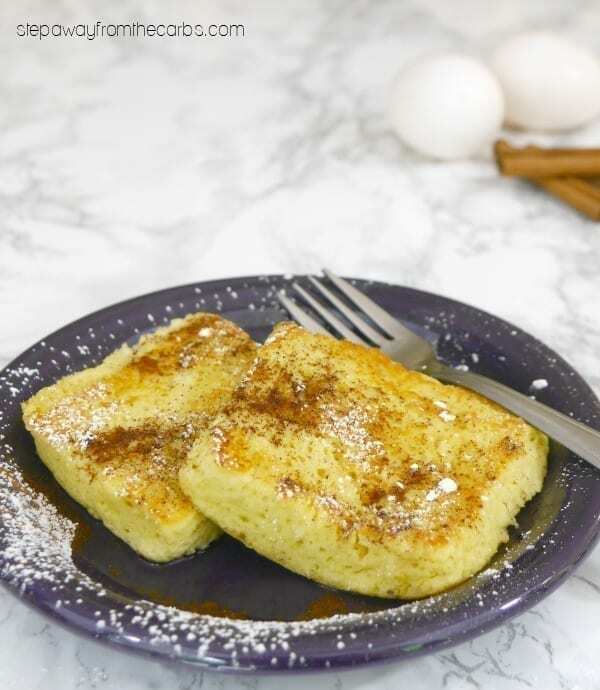 This low carb French toast recipe isn’t as quick, but it can still be made in under 10 minutes. It takes longer because I really felt that the microwaved bread should be pan fried in butter to get that wonderful texture on the outside. And it works! Is the result *exactly* the same as high carb French toast? No. However – it will satisfy a craving, as the flavor profile is spot on, and it’s really satisfying! 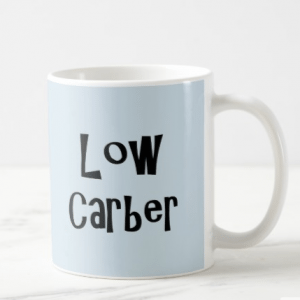 By the way, if you’re looking for low carb sandwich bread to make “proper” French Toast, check out my guide to buying low carb bread online! To make the batter, melt some butter in a jug and let it cool. Whisk in an egg, unsweetened almond milk, and vanilla extract. Then add in almond flour, coconut flour, and baking powder. Pour it into an 8oz ramekin. I used these new square ones that I just received for my birthday – they were perfect!!! Cook it for 1 – 1½ minutes in the microwave – the “bread” should be soft and spongy with no liquid. Turn it out onto a chopping board and slice it in half horizontally to form two “slices”. Melt a little butter in a small non-stick skillet and fry the bread over a medium-high heat for 2-3 minutes on each side. Serve, with toppings of your choice: I chose ground cinnamon, low carb maple syrup, and a shake of low carb confectioner’s (powdered) sugar! Enjoy all your favorite French toast flavors in this homemade low carb version! To make the batter, melt the butter in a jug and let it cool. Whisk in an egg, unsweetened almond milk, and vanilla extract. Then add in almond flour, coconut flour, and baking powder. 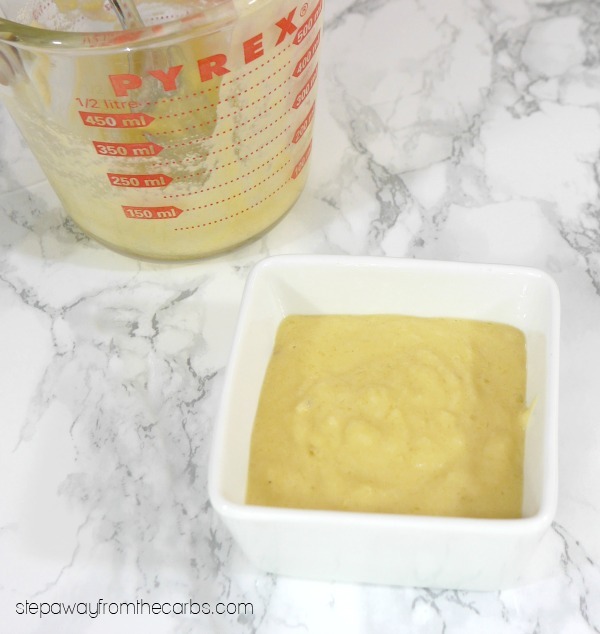 Pour it into an 8oz ramekin and cook for 1 - 1½ minutes in the microwave - the "bread" should be soft and spongy with no liquid. Turn it out onto a chopping board and slice it in half horizontally to form two "slices". Melt a little butter in a small non-stick skillet and fry the bread over a medium-high heat for 2-3 minutes on each side. Serve, with toppings of your choice! 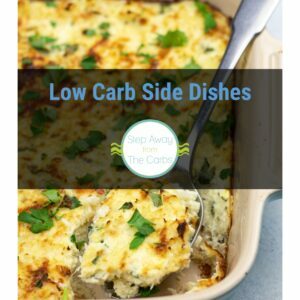 6g net carbs per serving (whole recipe). Toppings not included. The egg loaf recipe (https://www.reddit.com/comments/90r29m/_/e2stnyh) is almost exactly like french toast. I wonder if it would work OK in the microwave? I love this! I save on washing up and make it all in the ramekin!